Draw a plumb mark on the rafter where the seat cut starts. 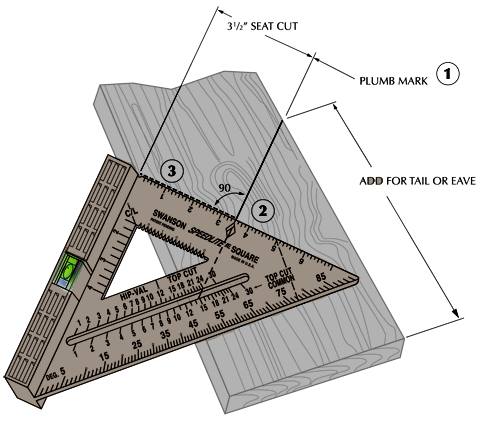 Set the Diamond® over the plumb cut line with the heel of the square against the rafter edge. Scribe the 3″ line and make the triangular cut. Share your idea with us and see how Swanson can take it to new heights. ©2015 Swanson Tool Co., Inc.